The HallStar Company, prides itself on delivering customized, cost-effective solutions based on the unique needs of its customers. 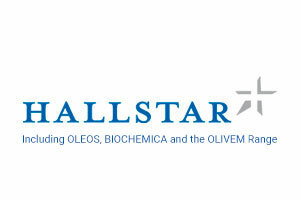 HallStar’s ability to invent and formulate with unique esters – ingredients vital to both the polymer additives and personal care sectors – is based on over 50 years of esterification experience. Since the ester chemistry is constantly evolving. Today, HallStar uses esters as vehicles to craft functionality. For example, HallStar have developed ester-based products that enable rubber to adhere to nylon cord which improves emolliency, as well as providing long-term photostability to sun and skin care products.